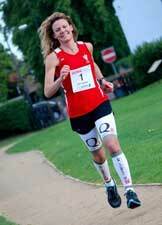 Jen Salter (36), has smashed the Guinness World Record for running the 345 mile length of Ireland. 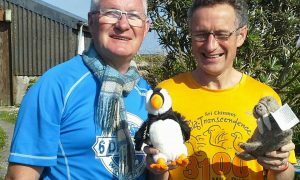 Her journey from Malin Head – Ireland’s most northerly point – to Mizen Head – the south westerly tip – took 4 days, 23 hours and 3 minutes and finished at 04:03 on Friday 10th June. 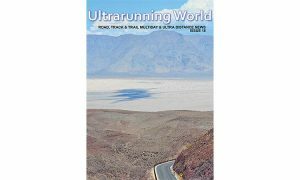 Enduring torrential rain and covering up to three marathons a day, she ran an astonishing 80 miles on her final day over the mountains of south-west Ireland in 21 hours of non-stop running to break the five day barrier and the men’s record by an astonishing 14 hours. ‘I hope that I can inspire other women to go out and take part in ultra-marathon running,’ she adds. Jen will be back in Ireland later this year organising the first M2M Ultra on the same route with 13 people running over 30 miles a day. 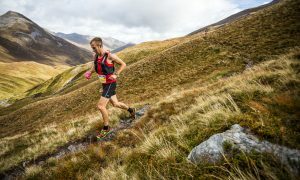 For more details or to take part visit www.ultrarace.co.uk/events.